1. 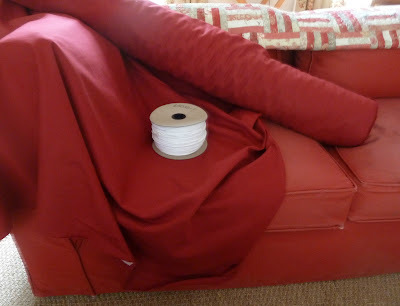 Cover It Up: One of my goals for the year is to make new slipcovers for our living room couches (yes, there are 2). Mark at Fabric Corner gave me a fabulous deal on this raspberry twill but it's been sitting in the corner of my studio for the last month while I muster up the resolve to start cutting. This time is now!!! 2. 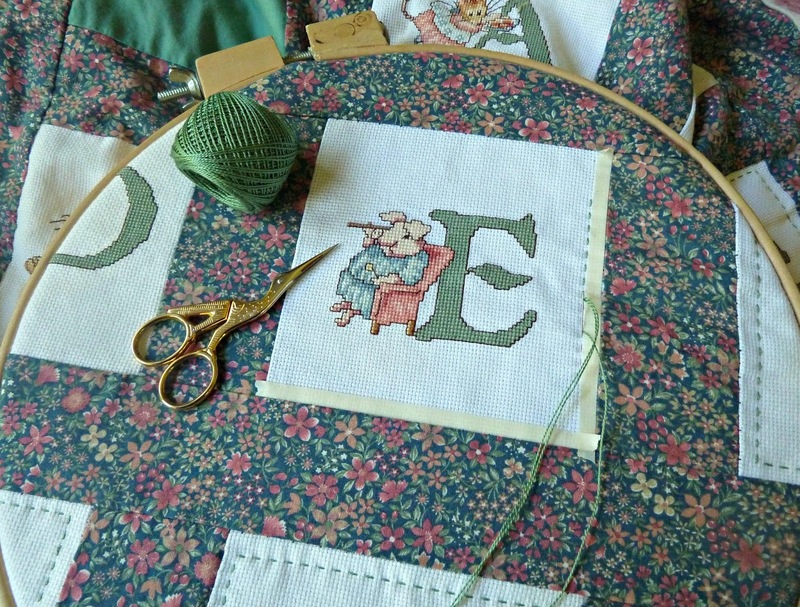 A Walk in the Park: This one keeps showing up on my lists and I have been chipping away at it. 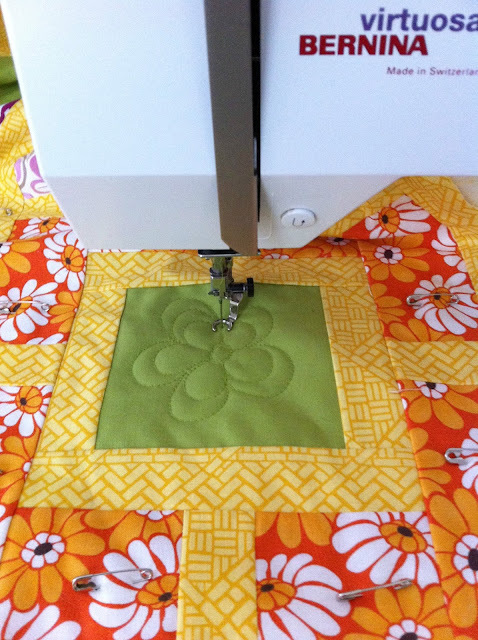 I've quilted flowers in the centers of all the squares but now I want to do some dense vines in the printed areas to make the brick pathways pop. 3. Houndstooth: Another one basted and ready for a quilting marathon. 4. 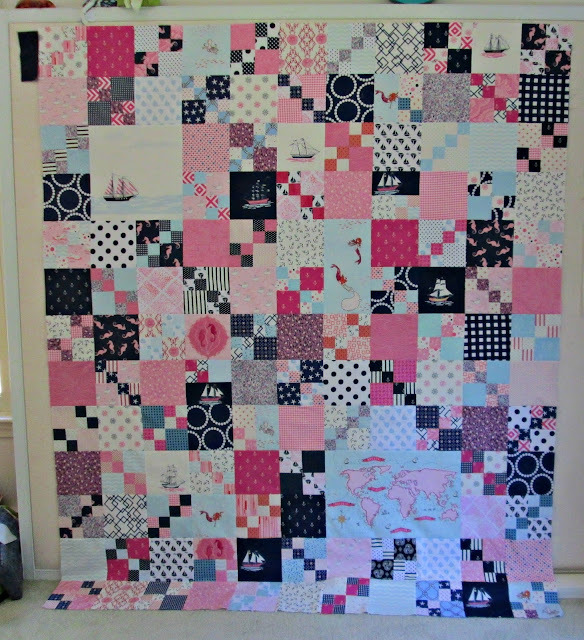 Out to Sea: Last fall I started working on this Penny Square quilt. I wanted to size it for my daughter's bed at our house in Maine but since we'd already closed up for the year I had to wait for Summer to roll around again. Now that I've had a chance to see it on her bed I've decided it needs another row on each side and another on the bottom. I'd really like to get this one on her bed before we close up again! I'm keeping this one short and sweet. Are you more productive in summer or less? Either way, join the fun at On the Windy Side!! !